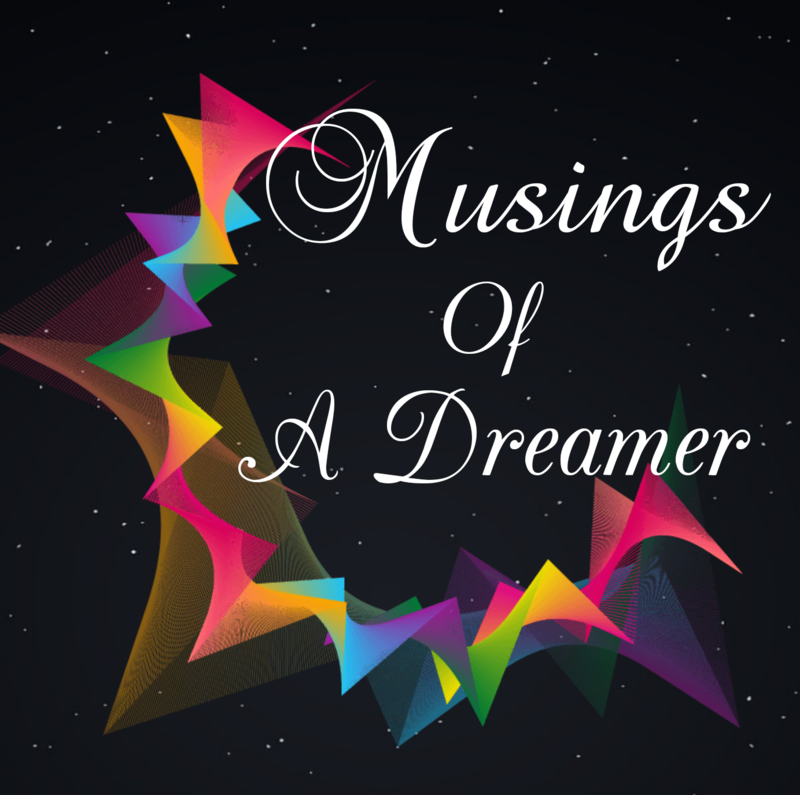 Musings Of A Dreamer – Poetry ,Prose ,Story & Thoughts. True love doesn’t change with time, situation, place or people. It never fades away, never loses its charm, it’s passion, it’s devotion. It doesn’t get cold but renews daily. It never doubts, it always trusts, it always believes the soul which it loves.. because it doesn’t only see from eyes, doesn’t hear from only ears, but sees from heart, hears from soul deep down. It walks with faith… faith which nothing can shake.. It never harms nor tries to hurt or wound the soul it loves… But tries its best to keep that soul most safe, most secure, most happy. Nurtures it with utmost care, deepest love, understanding, most sincerity and truth. Creates the most suitable environment for it, so it can grow in every direction and blossom in its true beauty. It tries the best that nothing can ever harm or hurt the soul it loves. It never leaves nor goes away from that very soul. It can never go away leaving that dearest soul alone, but stays with it in the deepest darkness, in worst storms, in lonely roads, in rough times. It doesn’t seek what it will get from that one, but it only keeps searching the needs of that one in this very moment… what’s most important and best for that one. It doesn’t care for the hurt, wound, pain risks or difficulty which itself may go through in that process of caring that other soul. It stays most faithful to that soul, in everything, in every situation, in every place as long as it lives. True love gives wings to the soul which it loves. Creates the platform for both to grow fully in their spiritual beauty, maturity and height as a unique person which God has created them really..!!! It can’t see any other person in the place of that dearest one. Because its full attention, devotion and happiness always remains to that only one. Nothing and nobody can divert that attention or devotion, how much others may try..!!!! We keep falling in love so many times, in so many ways, only with that soul as we keep discovering that soul more and more deeply with time…!! There may be thousands of beautiful souls around us… But the beauty of only that soul keeps holding our soul, heart, mind and attention. And you the beautiful white moon . From that vast distance of space . Bathing in your silver light . In your distant kingdom ,among the stars. With your warm love and pearly light . To this rudy rock on the surface . In any place ,in any distance . The pain and songs of a standing tree. From which it’s really took birth. Of a desolate, dry ,dying wasteland. The vast vaccum that fills them up. I got to realize that COMPASSION is LOVE in action, or expression of love. And Compassion is the very core nature of God. He is always full of compassion, the most compassionate God He is. So it’s also a nature and sign of a person who is closer or nearer to God. Because when we get closer to Him, we get transformed in His presence as we absorb His qualities, nature and reflections. This compassion is such a unique, powerful n heart melting experience its hard to explain, only can be felt those who have experienced it. Until we have not reached this state we are still very immature and we don’t know God really. Because God is love Himself and His love ever flows from His heart and sustains us, sustains the whole world , and He always stares us with His eyes full of compassion. His heart melts in compassion when He sees His creation. When we reach this matured stage and this compassion gets hold of our heart ,mind and spirit, we won’t be careless for other’s needs, we won’t judge others, we won’t keep any hurt, bitterness or grudge even if others have done or do the worst to us, we won’t think or speak ill of others at any cost. We will forgive, we will love endlessly without limit, even when we are aware of others crooked, fragile nature n their failure to understand our love, sympathy and care. .! But irrespective of their meanness and inability, irrespective of their no change, we love them still anyways and always have forgiveness for them..even if we are harmed and hurt. Cause Love n Forgiveness goes hand in hand. .and we see this in compassion. When we have compassion, we have the heart of God. We see like Him, think like Him, love like Him, forgive like Him, accept like Him..cause our love/ compassion for others will be greater than their hatred, malice or meanness for us…and we will realize as God forgives us, loves us and accepts us ,we should also forgive and love like that. .and it happens naturally without effort or force. We will be able to see others and this world from very higher perspective than common, normal perspective, from God’s perspective. Until we haven’t got that compassion, we can’t really forgive or love others the way we should, the way God really intends us to do. Behind those shady curtains . Let the rays of light rain on you from heaven. Send my enchanted heart aflutter . God is love. So love itself is unconditional and selfless. It’s the peace and it’s the purity, the key of godliness. It’s always benevolent in all its forms. Kind and gentle in all its moves . It spreads joy and healing. It carries the touch of heaven wherever it goes, as it’s the perennial river of soothing compassion, healing, forgiveness and acceptance. It’s all encompassing. Its something even the heaven and earth together or even the entire universe can’t ever define it or contain it completely. It encompasses and transcends even the eternity. We always know and experience it partially within our limits and capacity in our entire life. Our capacity to love others depends on how much we know and love God, how much we are intimate with God. The more we know Him, the more we are familiar to love. Cause God is love. The unified goal and purpose of all the trials of our life is to bring us closer to love, to make us more familiar to love, to increase our capacity to love others, to such great level which is beyond human capacity, which is not possible by our own in normal condition, without these trials. So their motto is always to burn our impurities and mold us into an embodiment of love, ultimately to shape us in the image of God. Cause God is love and we are His children, made in His image, meant to be like Him, meant to love others unconditionally, to serve selflessly. And those who love more, serve better. Cause service is the prime duty of a human being as a human towards mankind, towards every fellow human and every creature. Only a life of service is a life worthwhile. And that service is incomplete without genuine love. If we know God, we will know love, and we will know to serve. Bloodstains of my wounds . And my spine chills with fright . A deadly battle of sound and fury . Soars on the feathers of resilience . I am still a pedestrian ,just walking along . .